The short answer is ‘No’. More than 6 years ago, several (American) health ‘experts’ started to tell people about the ’advantages’ of coconut oil. One asserted that there was research showing it reversed Alzheimer’s; another told the world it contained high levels of ‘good’ fat - Medium-Chain Triglycerides or MCTs. Co-incidentally both were selling this new wonder elixir (writes Oxford University Biochemist, Chris Woollams). My father had Alzheimer’s so I followed the links and read the original research study – It actually said coconut oil did NOT appear to have an effect on Alzheimer’s, although another study was proposed; this has actually been discontinued through an inability to recruit trialists. When we come to medium chain triglycerides, the best source is Palm Oil. MCTs are an inert source of energy (the human body stores excess calories as triglycerides every day). They have been shown to induce both ketogenesis and metabolic acidosis(1). And then we come to the ’coconut oil is good saturated fat’ nonsense. Advocates talk of Lauric acid - how this is somehow ’good’ saturated fat. It isn’t. Don’t just take my word for it: The Malaysian Palm Oil Board actually talk of how Lauric Acid increases LDL, on their website. 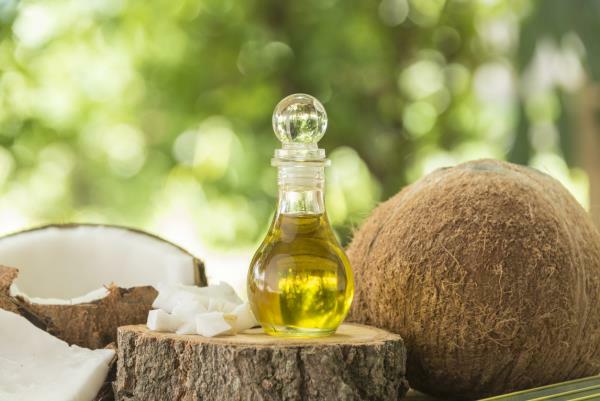 A recent review on coconut oil from Dr. Walter C Willet of the Department of Nutrition at Harvard Public Health said almost exactly what this article says. I also asked Professor Thomas Seyfried of Boston College, the Ketogenic Diet champion and someone who should know a bit about fats, what he thought of coconut oil when I spent 3 days recently with him. Would he consume lots of coconut oil? "No. It’s full of saturated fat; over 90%", and "You wouldn’t want to eat too much of that with cancer as it will cause inflammation". That is exactly our view too. High levels of healthy mono-unsaturated fat in coconut oil? The populations of South East Asia being healthy because they cook with it? These claims are just not true. Coconut oil is maximum 8 per cent unsaturated and 92 per cent saturated fat. Let’s put this in context. Butter is only 64 per cent saturated fat and lard is only 40 per cent! For years, saturated fat has had bad press. This is not entirely deserved. in 2010 and then 2014, there were meta-studies showing that high saturated fat consumers had no more cardiovascular disease than low saturated fat consumers. But for cancer saturated fat is bad news. There are a number of important research studies linking saturated fat to cancer - for example, higher blood levels are linked to breast cancer, and to prostate cancer recurrence; higher blood levels are linked to greater risk of lung cancer in smokers; and higher blood LDL and triglyceride levels are linked to more metastases and lower survival generally. The biochemistry of saturated fat is complex. There are long-chain and medium-chain saturated fats - long chain fatty acids or LCFAs; and medium chain fatty acids or MCFAs - and they have very different properties. Lauric acid, mystic acid and palmitic acid are the chief long-chain fats of coconut and palm oils. They are also the highest fat ingredients in red meat, chicken and dairy products (milk, butter, cheese). They are known to increase LDL in the blood stream. And in coconut oil, those 3 fats are approximately 90 per cent of the total saturated fat. Lauric acid is a 12 carbon fat. Somehow people claim this is good for you. It isn’t, although there is one study that concluded it can increase HDL slightly in the blood stream (but nothing like similar studies with Extra Virgin Olive Oil). Next, there are medium-chain fats like caprylic acid, caproic acid and capric acid. These have no effect on LDL, but only comprise 10 per cent of coconut oil. So almost 90 per cent of 92 per cent is bad saturated fat in coconut oil and this pushes your blood LDL levels up. It gets worse though. About 8% of virgin coconut oil is unsaturated. If yours isn’t virgin but refined, the hydrogenation can turn the unsaturated fats into trans-fats. The worst thing you can consume. Coconut oil contains 6.6 gm of mono-unsaturated fat per 100 gms. Hemp is 15; Butter is 19.8; Soyabean oil is 23.2; Palm Oil is 41.6 and Olive oil is 69.7. Even Lard is 43.8. Another problem is the lack of long-term research studies on coconut oil. All the studies (particularly the single positive one showing small HDL increases supposedly because of the medium chain triglycerides or MCTs) have been over short time periods - usually about 3 months. Another showed that MCTs might have a positive effect on early stage Alzheimer’s, but it wasn’t talking about coconut oil. It was talking about MCTs. You can get MCTs from several oils. There are really only a few studies on coconut oil proclaiming its health benefits but all are frankly very weak. Shall we talk about the benefits of coconut oil found in one Nigerian study on rats? No, I’d rather not. Next, where’s the population studies showing people who consume lots of coconut oil live healthier and longer? Which populations have attained supreme health through the generations because of coconut oil? None. Coconut oil and the gut - I like to look at real science and especially how foods interact with the gut microbiome. In one study(2), the lauric acid commonly found in coconut oil was shown to negatively influence T-cell differentiation and proliferation in the gut. A second study in the same publication ’Immunity’, the previous October had shown the relationship was linear - the more lauric acid you consumed, the worse the problem. Instead of a normal immune response, lauric acid causes a highly inflammatory response in the gut. Exactly what Seyfried said. It would thus appear that coconut oil can cause inflammation both in the gut and in the body and weaken the immune system. In mouse models the LCFAs of coconut oil also damaged the myelin sheath on nerves and worsened MS. This is the ultimate reality check for coconut oil. Everybody knows and understands that EVOO contains a high level of unsaturated fat, and there is research study after research study on its health benefits, its synergistic effects with fish oils, its link to the production of anti-inflammatory molecules in the body, its longevity and heart benefits in the Mediterranean diet and so on. In the above T-cell study, fatty acids from olive oil, unlike those of coconut oil, actually reduced T-cell differentiation and reduced inflammation. Plus, olive oil short chain fatty acids in the same study reduced symptoms of Multiple Sclerosis. There are specific studies on the benefits of olive oil with most chronic illnesses, and epidemiology studies on the long-term benefits to populations. But where is any comparable volume of research on coconut oil? 1. They cook with coconut oil in South East Asia? Actually, traditionally, they don’t. It’s another lie. I live in Thailand, my daughter goes to school in Malaysia, both countries are packed with coconuts. But traditionally who cooks in coconut oil? No one. Coconut milk in some dishes like green curry, yes. But, cooking with coconut oil? No one. Canola, sunflower, peanut, sesame, soyabean was the norm. But now, trendy Thai Chef websites are reporting coconut oils are healthy, it’s starting to creep in. But - wait for this - in order to avoid the strong taste and smell of coconut in the dishes, it is being suggested that people in Thailand should use the refined version not the extra virgin version. As I said above, refining coconut oil elevates its levels of trans fats. A few put coconut oil on their hair or skin, but that is rare too. If coconut oil has such health benefits, don’t you find it a little odd that populations who have been surrounded by the coconuts for thousands of years DON’T naturally consume the oil? And this is true for India, the Philippines, Borneo. Claims that the locals cook with it and it’s a major contributor to their health are just one big fat lie. To be fair, there is one exception - the south west tip of India; it’s a region called Kerala, and there they do cook with coconut oil. They also have very high levels of diabetes. The rest of India cook with other oils - Andhra and Rajasthan with sesame oil, in central India it is groundnut oil, in the north and east it’s mustard oil. EVOO contains high levels of monounsaturated fatty acids, or MUFAs, and good levels of polyunsaturated fats, or PUFAs. According to the Mayo clinic, if you replace saturated and trans fats with MUFAs and PUFAs you get a reduced risk of cardiovascular disease (I think from the research, that is more true for the trans fats). But it is clear that MUFAs lower LDL, and total cholesterol. They also seem to reduce insulin levels and improve blood sugar control. If you want those healthy mono-unsaturated fats you will get more than 10 times extra from a tablespoon of Extra Virgin Olive oil than from a tablespoon of coconut oil. Conversely, a tablespoon of coconut oil will give you 6 times more saturated fat than a tablespoon of EVOO - that’s about 13 gm and the daily limit according to the American Heart Association. According to research from the Cleveland Clinic (Feb 2016), a compound called trimethylamine N-oxide (TMAO) has been linked to a higher risk of heart attacks, atherosclerosis and strokes. TMAO is linked to greater deposits of cholesterol in heart artery walls and it interferes with the process that kicks LDL out of the body. It is now known that certain gut bacteria can convert two specific compounds (l-carnitine and choline) into trimethylamine which is subsequently converted in the liver to TMAO. Choline and l-carnitine are found in high-saturated fat, dairy products, red meat, processed meat and eggs. What is clear in further research from Cleveland, a compound DMB could keep TMAO in check. DMB is found in both Extra Virgin Olive Oil (and also in red wine). And a colourful Mediterranean Diet is associated with lower rates of cardiovascular risk and strokes. Is DMB found in coconut oil? No. As we at CANCERactive constantly tell readers, your consumption should be 70:30 in favour of good fats - MUFAs - and that means foods like extra virgin olive oil. 3. What oil should you use for cooking? The final claim for coconut oil is that it beats olive oil if you want to cook in an oil because of the ’higher flash point’. Sadly, this claim too is untrue if you check the US Food Standards Agency data. If you want an oil to cook in, you should look at Avocado oil. It has by far the highest flash point of any oil - at 520o. EVOO is a mere 406o by comparison. Yet again, despite the claims, coconut oil loses out. Its Flash Point is a paltry 365o. Of course, there will always be the chap down the road who drank a truck load of coconut oil and cured his warts. There may be a few hundred who have seen long-term health benefits. MCTs may yet be shown to be the best for inducing ketosis in children with epilepsy. But even if we forget about the placebo effect, hundreds of anecdotes don’t equate to research, epidemiology studies or populations who through the eons have benefited from EVOO. The populations of Indonesia and India have not benefited from cooking with coconut oil - they don’t actually do it. No, even Thais don’t use coconut oil for cooking, although they do use coconut milk. And this is one of the reasons (along with a heavy consumption of refined white rice) they have so much diabetes. Sorry, but you consume coconut oil at your own risk. I wouldn’t. I consume Extra Virgin olive oil, red wine, fish oils, walnuts, almonds, avocados and so on. 1. Wanten, GJ; Naber, AH (2004). "Cellular and physiological effects of medium-chain triglycerides". Mini Reviews in Medicinal Chemistry. 4 (8): 847–57.